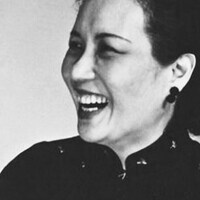 Swan Soong, Jyl Bonaguro's new play set in 1940s war-torn Shanghai, follows the lives of the famous Chinese Soong Sisters. Love and double-crossing abound as these one-time celebrities' stories are woven together to reveal the power of family and the beginnings of modern China. The sisters are seen thru the eyes of American and early feminist “Mickey” aka Emily Hahn who is commissioned to write a book on them. Notorious for her cigar-smoking brand of feminism and love affair with Chinese poet Sinmay Zau, she's a questionable fit for the task. The three sisters, along with their financial wizard brother T.V., seemingly control their husbands and the future of China. Or do they? Look forward to intrigue, love and humor—because otherwise, history would be boring. Doors open at 6 p.m. with light refreshments. Play begins at 7 p.m. Directed by Marc Rita and starring Lina Jean Fritz as Ai-ling Soong, Eunice Park as Ching-ling Soong, Carolyn Plurad as May-ling Soong, Flavia Pallozzi as Mickey Hahn, Daniel Ahn as Sinmay Zau & Generalissimo, and Leo Zhu as T.V. Soong & Big Eared Tu.